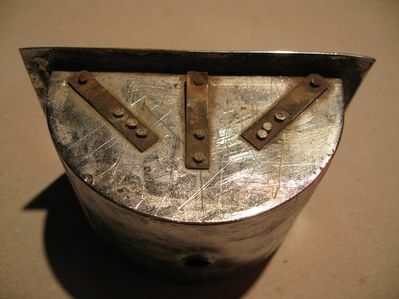 The backside of the prototype hideaway ashtray. Note the spring retainers for the retention of the hideaway door. It opens to three different positions. Double click on any picture to leave comments or questions.